The ASUS ZenFone 2 family of smartphones and phablets was notable for its use of Intel Atom processors, as well as their ambidextrous design. While the Intel Atom processors were powerful, they guzzled power and had trouble gaining traction in the smartphone market. Hence, it comes as no surprise when ASUS revealed in Computex 2016 that the new ZenFone 3 series would be powered by Qualcomm processors instead. That decision probably contributed to Intel’s decision to quit the smartphone market for good. You may have already seen our sneak peek of the new ASUS ZenFone 3 models at Computex 2016. 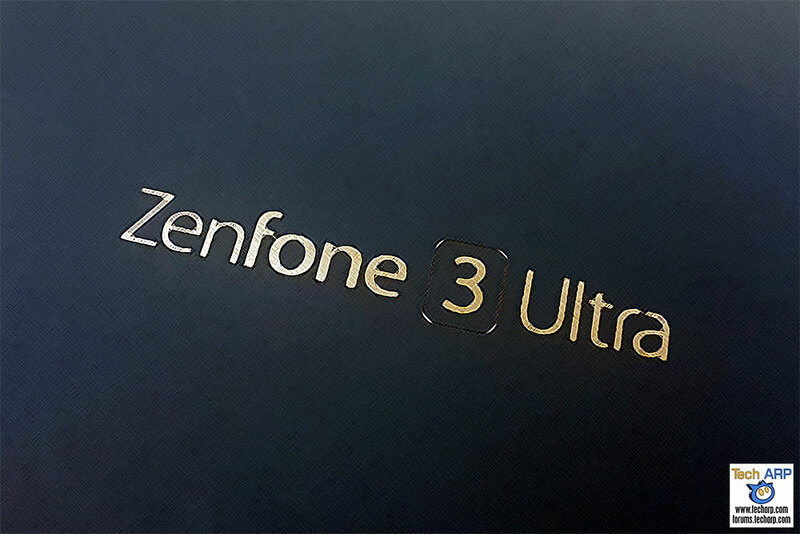 Today, we are going to take a look at the big daddy of the ZenFone 3 series – the ASUS ZenFone 3 Ultra (ZU680KL) phablet! The ASUS ZenFone 3 Ultra comes in a very premium black cardboard box, with a drawer for the accessories! Check it out! ASUS is marketing the ZenFone 3 Ultra as a premium phablet, and they sure made sure it came with premium accessories. Very nice! It’s a pity that the Zen Phone 3 Uttra has The same screen resolution of the other smaller phones. Just seems a waste of potentially a great big display. They could have gone with a 1440p display, but that would mean greater cost and power consumption for arguably no real benefit. With a pixel density of 324 ppi, it would certainly qualify as a “Retina display” at the standard viewing distance. Remember – this is a large phablet, so we are more likely to view it at a distance. You can’t tell the difference with say, the Galaxy S7 edge, unless you compare them side by side and peek close-up. As all three devices have the same resolution the DPI would change depending on the display size. The Ultra would not give you anymore screen realestate just a larger display. The idea of a phablet would be to increase screen realestate to make it a more productive device compared with a smaller ( non Phablet ) phone. I would love to see manufacturers take the phablet size of six inches or larger and turn them into higher end devices rather than the middle spec devices we are seeing now. Correct, the ZenFone 3 Ultra won’t give you more pixels, just a larger screen. If you are viewing movies on a range of phablets at a distance of, say… 10 inches, a larger screen is arguably more enjoyable, but the higher resolution on any of these phablets won’t be noticeable. If you are looking to work on a phablet, then yes, the higher resolution will matter… a LOT. Sadly, the only phablet that is close to 6″ with 1440p resolution is the Galaxy Note7. Im looking to replace my aging xperia z3 tablet compact which is 8inch to a slightly smaller 6+ inch phablet. But it seems non of the newer phablet are high end devices. Even Sony’s XA Ultra is powered by the mediocre Mediatek chipset instead of something higher end. I have a real problem with manufacturers building large screen devices with questionable specifications. If these devices where cars then they would have an SUV chassis with a compact cabin being powered by a small 1.6 litre engine. What’s the point? Why not manufacture a large screened phablet with high end specifications and call it a flagship device. Just giving a phone a large screen without the benefit of higher resolution just makes it suitable for media consumption rather than a device suitable for media creation and productivity. Can you give some comments? That may be due to the higher resolution 1080p display. The icons and text will seem smaller, if you are migrating from a lower resolution 720p display, for example. Then again, the Xiaomi Mi Max has the same resolution.